Bayreuth ‘Awaaf’! Four days of Bayreuth Street Carnival on the ‘Marktplatz’. 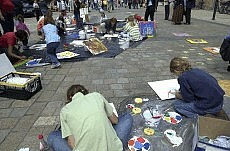 The Marketing & Tourist GmbH, showmen/women, and Carnival society ensures a hare-brained program. A great Carnival parade with numerous carnival decorated vehicles, music groups and Carnival Clubs highlights the program. Festival fun for Bayreuth and the entire region: The brewery brothers Maisel invites to celebrate on the brewery grounds annually. 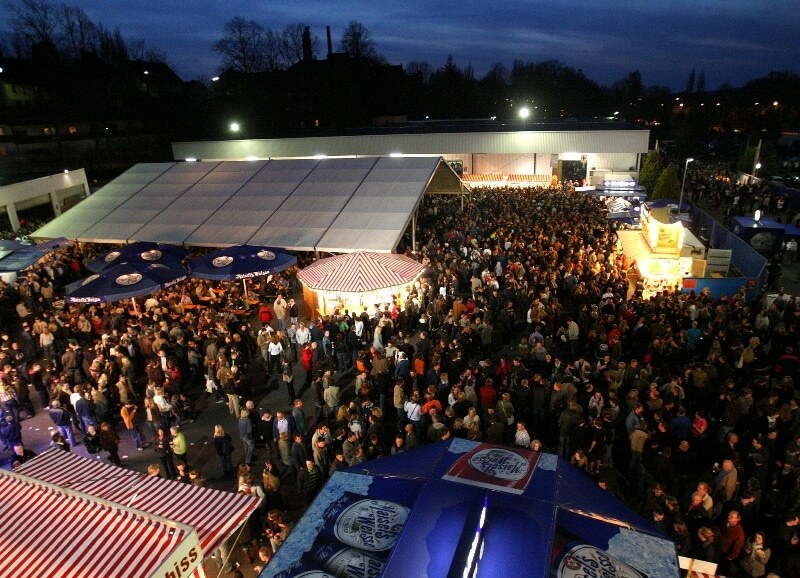 The beer festival has won on attraction and at the same time is one of the biggest kick-off events in the Open-Air season since over 2 decades. Thousands of visitors are on the courtyard on the Hindenburg Street for days. There is something for every generation. Every year on the first weekend in July in the historical centre of Bayreuth the Citizen Festival takes place. In addition to the Bayreuth Folk Festival it is the highlight of the festive season. The Citizen Festival began in 1977 as a one-day Street Festival; however, it quickly became the most popular celebration in summer in Bayreuth. Today, it is a three-day mega event with up to 120,000 visitors. One of the most beautiful and romantic Festival in Franconia is the Summer Night´s Festival in Bayreuth in the Eremitage which takes place every year at the end of July / beginning of August when the Park changes to a huge festival site. Following the old Margravial traditions, this festival was re-born in 1969. Once a year four Franconian winery offer their new wines. Be spoilt guests with excellent food and Franconian wine. 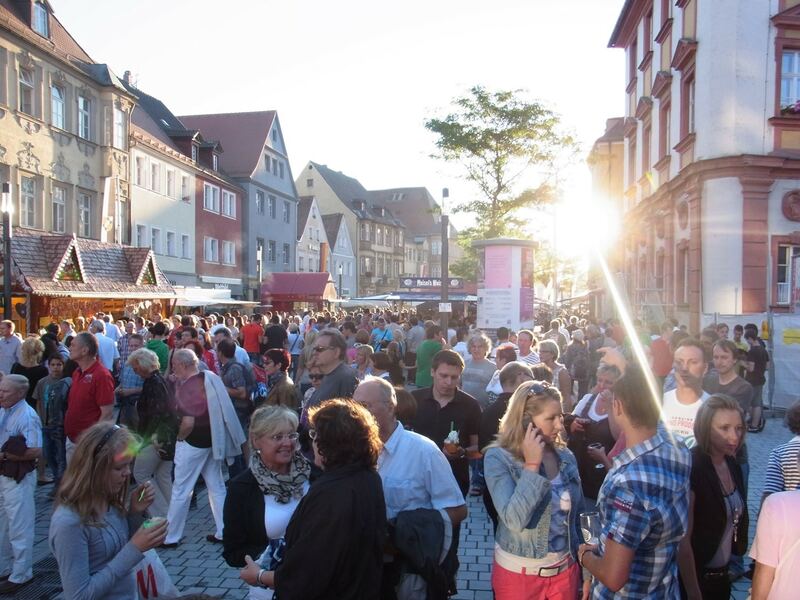 All visitors are can enjoy Franconian wine, varied entertainment program with live music five days long. Forget everyday life and enjoy good Franconian way of life with good friends. The flea market on the Bayreuth ‘Volksfestplatz’ enjoys great popularity that takes place twice a year. Embedded in the Bayreuth Citizens´ Festival, is the Artists Market: Artists and art lovers from near and far invites you to look, admire, discuss and buy. Artist from the region and beyond presents their work in the field of painting, graphics and sculptures to the Bayreuth public. Enjoy winter at its best. Treat yourself to delicious delicacies and popular variations of spiced hot wine at a crackling fireplace. Indulge yourself in the unique atmosphere of the lovingly decorated winter village. A popular meeting place even on cold winter days. Around the Neptune Fountain set against the background of a Baroque church, the Christkindlesmarkt presents itself in front of historical Bayreuth. In addition to the longest chain of lights in Franconia, the Market offers one of the most beautiful Christmas Markets with Christmas stalls, exhibition of Christmas cribs and a rich cultural program.